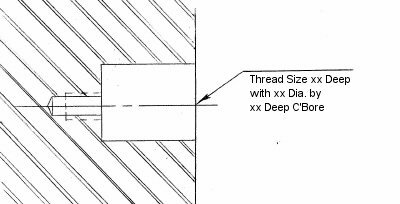 There are two types of deep screw threaded holes that need measuring. Choose one to continue the discussion. This data is provided for general information only. The intention is to provide accurate information; regardless; errors may exist in the supplied information.